Unocoin, India\'s most popular bitcoin wallet has been in the news quite frequently as of late. The Unocoin team has successfully managed to bring on board several e-commerce giants to accept Bitcoin as a mode of payment for their respective websites. The number of people buying Bitcoin in India is on the rise. With more and more people using bitcoin, the future of merchant acceptance in India is set to grow. 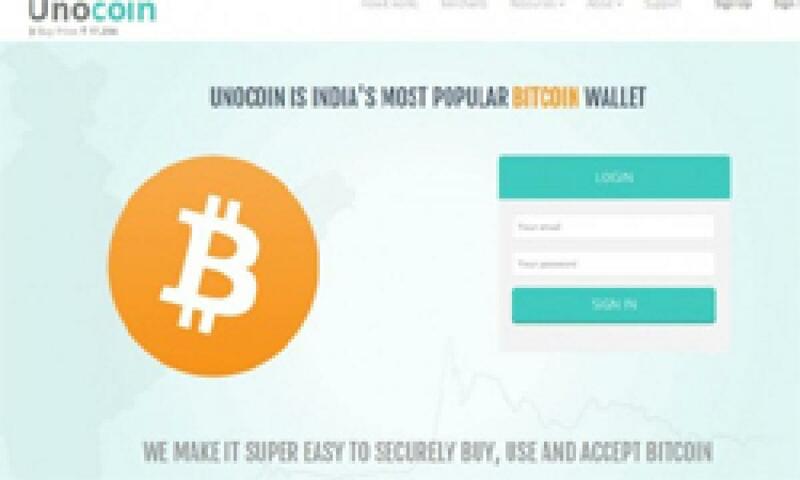 Unocoin, India's most popular bitcoin wallet has been in the news quite frequently as of late. The Unocoin team has successfully managed to bring on board several e-commerce giants to accept Bitcoin as a mode of payment for their respective websites. The number of people buying Bitcoin in India is on the rise. With more and more people using bitcoin, the future of merchant acceptance in India is set to grow. One of the oldest and biggest players in the books and stationery segment, Sapna Book House, has also made their presence felt online. SapnaOnline is the first mover in this segment to accept Bitcoin in India. Nijesh, their CEO said, "Bitcoin enables instant P2P transactions, worldwide payments and much more. It is an adaptable new currency which is convenient and exciting. Users are getting to know about the importance and benefits of Bitcoins slowly but surely. At SapnaOnline we are happy to partner with Unocoin and help facilitate an additional payment system for our users. It is safe, simple and hassle free Bitcoin interface that we have adopted too. I am sure SapnaOnline users will be happy to experience Bitcoins on our website." Abhishek G, VP- Sales and Marketing, Unocoin says, "Accepting Bitcoin as a mode of payment does 3 specific things for the merchants, it completely does away with the transaction fees that they now pay the payment processor, thus increasing their profits by 1-5%. Reduces the reconciliation time from 2-3 days to 2-3 hours, thus putting money in their banks almost as soon as the sale happens. It also mitigates the risk of charge-back and other types of fraud. On the consumer end, Bitcoin payment provides a faster mode of payment, makes them safe from identity theft and credit card fraud and the chances are that the merchants will share their increased profits with the consumers in the form of a discount." It is great to see that business are thinking of creating a mutually beneficial ecosystem taking all the stakeholders' interests into consideration. It's a win-win case where businesses and consumers all get to save money. Unocoin has signed up over 25 merchants to accept Bitcoin, some of them that are live include Reload.in and Indsoft.net. Murphy John of IndSoft says, "IndSoft was confident that Bitcoin would be the currency of the future. Since IndSoft already accepted all other modes of payment, we were in search for a reliable Bitcoin payment gateway for dedicated and cloud hosting products. We zeroed in on Unocoin to be our Bitcoin payment gateway partner. The Unocoin team has been excellent to work with. Right from the first phone call, the team exhibited professionalism, dedication and personalized service." Consumers today have multiple options to choose from, not just in terms of what and where they want to buy, but also in terms of how they want to pay for what they buy. After all, the customer IS the king. Unocoin recently released a merchant gateway which enables businesses to accept bitcoin. The advantage of using our system is that merchants may easily and instantly convert the bitcoin that their clients pay them with into INR and get paid to their bank account. We have announced two integrations thus far, one with etravelsmart and another with sapna book house. There are many more to come. Bitcoin truly is a revolution and we believe it is the future of money. For anybody who is interested in bitcoin, check out bitcoin.org to get more information on the subject. The technical definition of bitcoin is that it is the world’s first open source, decentralized digital currency and payment network. Similar to the internet, Bitcoin eliminates the need for third parties (such as central banks, companies or entities) to validate transactions between two parties. To get a real in depth look at the mathematics behind bitcoin, check out the original white paper: https://bitcoin.org/bitcoin.pdf.